Exclusive mini engraved name charms for you to add up to 8 characters on the charm. 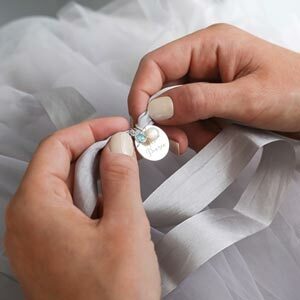 For that extra special touch to add to your own jewellery or clothing! The jewellery I purchased is lovely and beautifully presented and the service excellent. 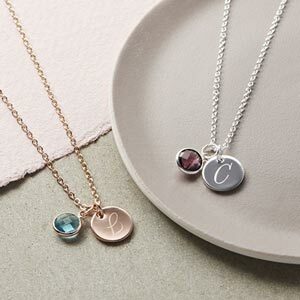 A great addition to a personalised necklace. Engraving was ‘wonky’ not centred at all. Exactly how I personalised it, engraved well, perfect.